RALEIGH (WTVD) -- The Mordecai House sits on off Mimosa Street close to downtown Raleigh. The house with golden siding is the oldest house on its original foundation in the Capital City. Built in 1785, the house is older than the city by seven years. Five generations of Mordecais lived in the home. In the 1960s, the historic home was sold to the city. Legend has it that more than one ghost haunt the halls of the house. 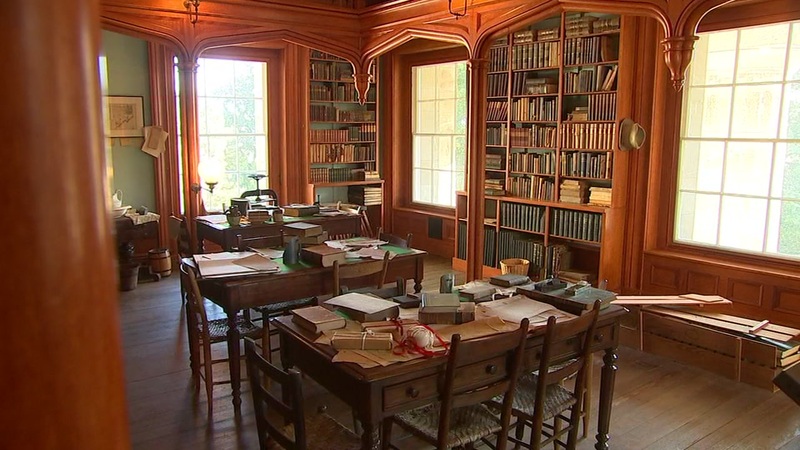 "This house is often considered to be one of the most haunted houses in North Carolina," said Josh Ingersoll, Director of Historic Sites with the City of Raleigh. "There have been so many experiences here." Items belonging to the Mordecai family still fill the home, including a piano from the mid-1800s. It's said that every so often sound from the ivory keys dance off the walls, yet no one sits on the piano bench. "Mary Willis is often considered the ghost that is haunting the Mordecai House," said Ingersoll. Willis died in the early 1900s. It's thought she passed from this life to the next in the home, though it's not known which room. The story states a photo of Willis tips over if something is said she wouldn't approve of. The Ghost Guild Inc. is the official paranormal investigative team of Mordecai Historic Park. Nelson Nauss, an investigator with the group, said paranormal investigations have found instances that can't be explained. Nauss describes one member's experience as he reached the top of the stairs of the house. "One time she walked up these stairs and she could not go past this particular step. She said the feeling of sorrow was so intense." The Mordecai Historic Park is open to the public for tours Tuesday through Saturday from 9 a.m. to 4 p.m.
On Oct, 27, the park will host an event open to the public. It will include a presentation from The Ghost Guild of their findings. Click here for more details. The Capitol Building in Raleigh has survived an ever-changing landscape for 178 years.